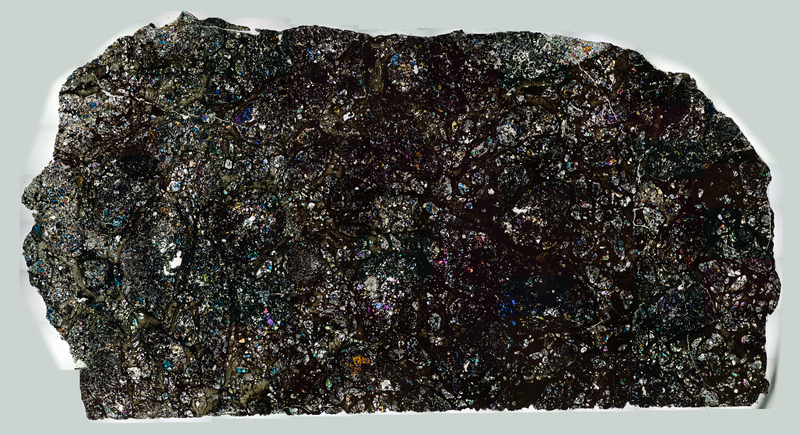 An observed fall on June 21, 2018 in Russia, the Ozerki Meteorite has one of the most interesting thin section profiles I have seen. When I first saw it on the MPOD for August 4, I was immediately intrigued. The image posted here was taken with low degree polarized light to help capture the matrix features.